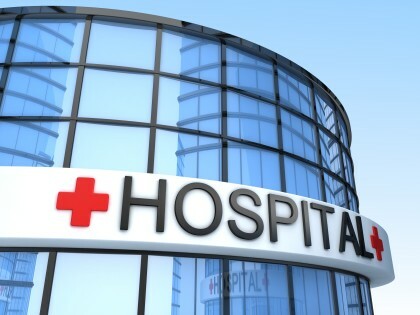 Nainital: The Uttarakhand High Court today directed the state government to start a multi-speciality hospital at Bhowali on the premises of the TB sanatorium there within six months. In an order on a PIL highlighting the shortage of doctors, staff, space, and equipment at the three government hospitals in Nainital district, the division bench of Justice Rajiv Sharma and Justice Lokpal Singh asked the state government to start a multi-specialty hospital at the Bhowali T B Sanatorium within six months. The court also observed that in view of the frequency of road accidents in the state whose victims need immediate care, there should be fully equipped trauma centres in each district. As the state shares international borders with China and Nepal, the infrastructure thus raised may become useful in times of an emergency, it said. The court directed the state government to construct new buildings for the Multi-Speciality Hospital as per the norms of Indian Public Health Standards by initiating the tender process in three months and undertake minor repairs of buildings at the Bhowali T B Sanatorium within the period. It also asked the state government to release funds for the treatment of patients admitted to T B Sanatorium, Bhowali, within seven days. Regarding shortage of doctors, staff and equipment, the court directed the state to set up a cardiac care unit and geriatric ward at the B D Pandey District Hospital in three months, appoint cardiologist and gynecologist in two weeks, fill all vacant posts of doctors and paramedical staff in all three government hospitals in Nainital in three months by holding walk-in-interview on an urgent basis. Keeping in mind the accidents caused due to the hilly terrain of Uttarakhand, the court also directed the hospitals to treat the injured and other emergency cases without insisting for registration of FIR. Army hospitals, private hospitals and clinics should also render medical assistance to the accident victims and emergency cases as per their constitutional duty, it said. The court also requested the Union Ministry of Health and Family Welfare to release a special health package to the hill states to maintain and improve public health.